I’ve written before about language, birth, and women survivors of child sexual abuse. I’ve mentioned how words matter, and certain words are very upsetting for those of us with a history of child sexual abuse. Earlier this week, I had the privilege of sitting with a pregnant woman and her husband. As a survivor herself of child sexual abuse and multiple rapes in her teens (sadly, revictimisation is a phenomenon that is not uncommon), she’s doing all she can to prepare herself for her impending birth. Part of that preparation included having a chat with me. We spoke about language and how words matter in labour. She used the word ‘surges’ and I had a reaction to it that I didn’t quite understand. Until now. As abused women, we had our experiences – our lived, physical, experiences – ‘reframed’ by our abusers. They would touch us and say things like ‘That’s nice, isn’t it?’, ‘You like that, don’t you?’, ‘I would never hurt you,’ etc. Their words were incongruent with our experiences and that – in and of itself – is damaging and needs work to undo. Telling abused women that calling contractions by another name will make them a more positive experience isn’t helpful. For the vast majority of women, labour hurts. That’s the bald truth of it. The extent to which it hurts, and how we deal with the pain, is individual. Personally, viewing labour pain as ‘pain with a purpose’ helped me. It wasn’t like a migraine (migraines are more painful), where pain doesn’t produce anything except more pain for at least 24 hours. I think that midwives and doulas working with women who have a history of abuse might want to discuss the merit of using ‘surges’ instead of ‘contractions’ with their clients. Then, the women themselves should use the word that suits them best;that they are most comfortable with. Labour hurts, and it doesn’t do women who have experienced abuse any good to tell them otherwise. What is helpful is talking about how to get through the pain, how to be present for it, and how the best thing about labour is that it ends. And that it ends with a baby in your arms. The wonderful woman I met with earlier this week also made the point that there is a difference between ‘pain’ and ‘harm’. As abuse survivors, we associate pain in our bodies with (often long-term) harm, yet the pain of contractions is not harmful, and reminding ourselves of that can be hugely helpful in getting through it while still remaining present, grounded, and participative in our own labours. I will accept that my title looks grammatically incorrect; or at least like I’ve managed to forget a word. Bear with me, though, I really do mean what I’ve said (typed). A few months ago, I was sitting, having a work-related conversation with the wonderfully talented and always exuberant Phil Kingston. Within minutes, we realised that we were both Lamy fans. I explained that, because my writing is the way it is (small, not exactly artistic), I require an extra-fine nib in order to render what I write legible. I handed my instrument to him, and Phil wrote a few lines with it. He quickly agreed with me that it was a beautiful writer, and we had a most pleasant chat about pens, and writing, and choosing an instrument. I mentioned that I habitually use a fountain pen, except for my Morning Pages , which – for some reason – I choose to write on yellow legal pads in pencil. 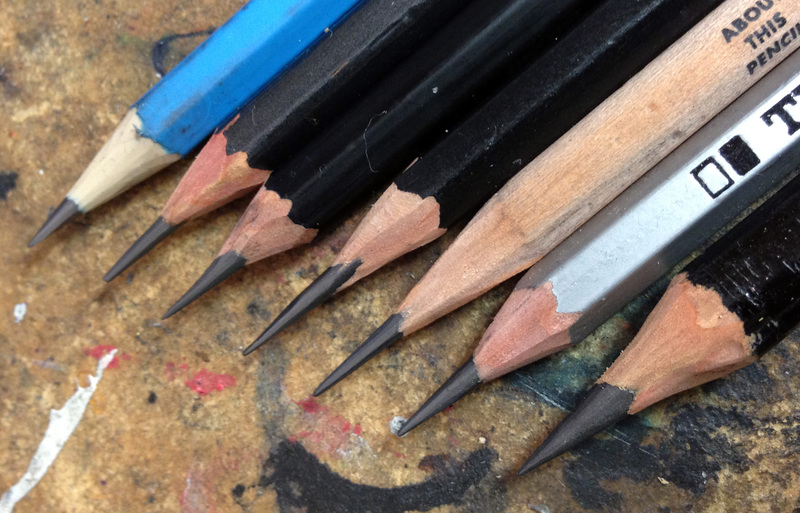 And, yes, I’m as particular about my pencils as I am about my pens. The one I favour for my Morning Pages is a beauty that is a black 4B that I got in the Science Gallery a while ago. It is just the write blend of soft and dark for me: Not so soft that it smudges easily, and not so hard that it writes too faintly. As Phil and I continued our chat, we mused about how our respective upbringings had influenced our choice of writing instruments. In the middle of all this, I suddenly realised something, and shared it with him. I’d been brought up in poverty by an abusive (psychopathic) father and a narcissistic mother. I’d always loved writing – not just the intellectual, or creative, or academic element of it – but the actual, physical element of it as well. As a young writer of about four, I remember bringing my pencil to my mother to be pared. She refused. There was ‘still plenty of writin’ left in it’, she had declared. Any time I wanted to sharpen my pencil, she would admonish me, and tell me I was being wasteful – which was a sin! – and I was to use the pencil until it was no longer possible to write with it. Of course, I internalised this message, and carried it with me into adulthood. It took until last August before I realised that I it didn’t serve me to believe that I was only ‘allowed’ to pare my pencils when their points were beyond usability. When I realised that I no longer needed to hold to that ancient belief, I abandoned it immediately. Since then, I have sharpened my pencil every time I have felt it necessary; I have allowed myself the tactile pleasure of using a pencil at its optimum point. It is bliss. Joyful, delightful, pleasurable. It’s a small thing – sharpening my pencil every time I want to, so it always feels good when I’m using it – but it has made me examine other habits and attitudes that were foisted on me by others, and which don’t serve me. I feel liberated beyond what might seem rational by this one small thing. So it’s really not an error when I ask – ‘What’s your Pencil?’ What is the old belief or habit that you’re hanging on to that is not serving you, and is not aligned with what you want, and deserve, for yourself? Posted on November 21, 2018 November 21, 2018 Categories Being Human, Mental Health, WritingTags Joy, Mental Health, Pencils, Writing4 Comments on What’s Your Pencil?